'“It was chaos, chaos, chaos!” Uncut’s latest Ultimate Music Guide tells the compelling story of The Small Faces and The Faces. Over 148 packed pages, we stitch together the tale of an extraordinary musical dynasty, with roistering interviews from the NME and Melody Maker archives and in-depth new reviews of all their records. Plus, there are extensive new pieces on Rod Stewart, Ronnie Lane, Steve Marriott and Humble Pie, and an introduction from Ian McLagan… “We did so many stupid things,” he says. 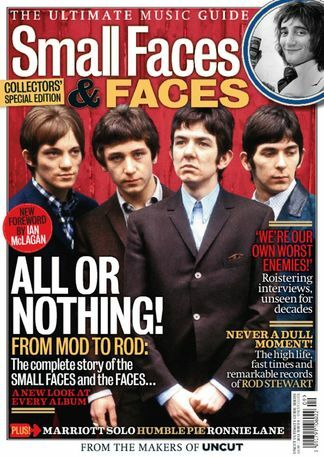 The Small Faces and Faces Ultimate Music Guide – it’s all too beautiful! Be the first person to tell us what you think about The Small Faces - The Ultimate Music Guide and you'll save $5 on your next purchase! https://www.isubscribe.com.au/the-small-faces-the-ultimate-music-guide-digital-subscription.cfm 37748 The Small Faces - The Ultimate Music Guide https://www.isubscribe.com.au/images/covers/au/5254/37748/square/TheSmallFacesTheUltimateMusicG1916104457.jpg AUD InStock /Digital/Music/Popular 148 pages of incredible reviews and interviews!